Dubai is a city of opulence and full of extravaganza events. But you would be in fact surprised that Dubai offers plenty of opportunities to have a good time without being too heavy on your pocket. 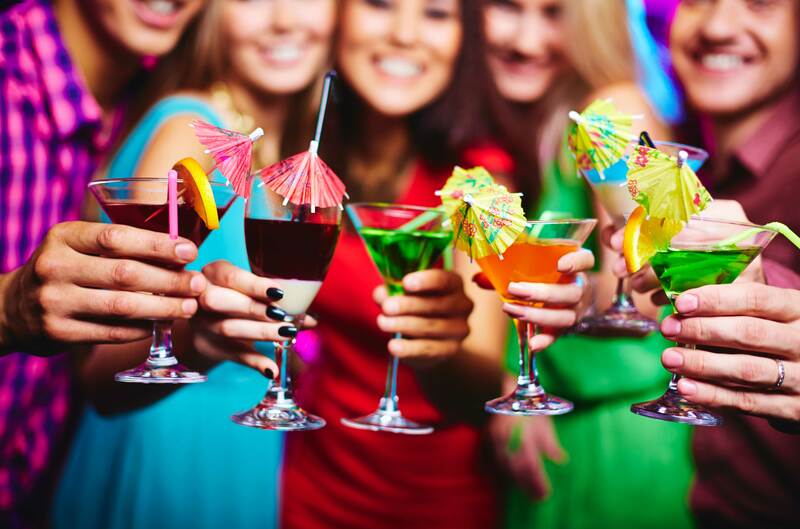 You don’t need to be on rooftops or be on top of an expensive yacht to have a good time. We have listed out a few ways to give you an awesome time in this Emirati land which will leave you with a bag full of cherished memories. 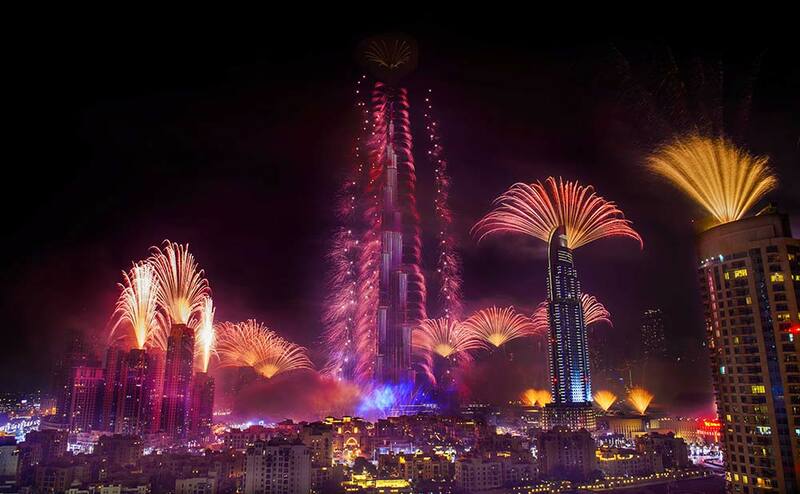 The fireworks display at the Burj Khalifa is something you should never miss. With no price being charged to watch these spectacular fireworks, you can surely enjoy the new year with a bang. The Burj Khalifa is itself an imposing landmark is itself, the lighting fireworks add to the perfect ambiance and location you would be looking for celebrating the New Year. You should try to reach there early if you want the best seat in town. 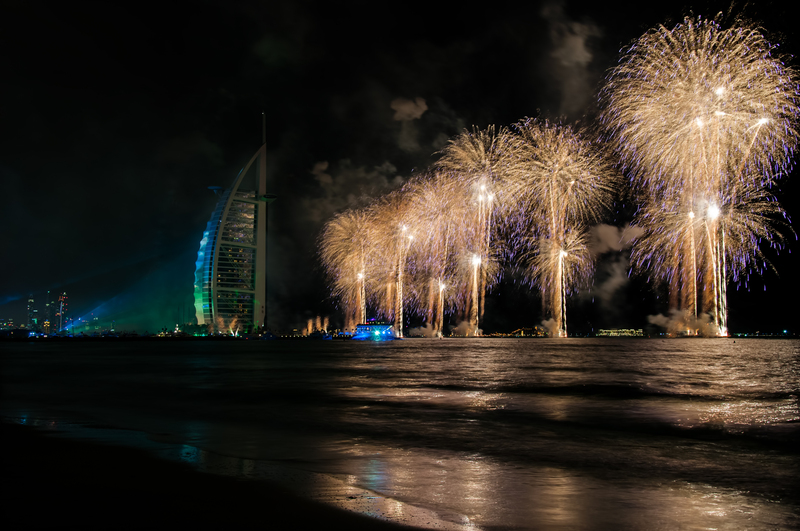 The fireworks display at the Burj Al Arab is probably second-best in terms of the glittering and glamor after the Burj Khalifa. So, if you wish you celebrate the new year on the sand, catch hold of a picnic mat, some blankets, and flashlights, then head straight to the public beaches in Jumeirah such as the Palace beach on al Sufouh road and Kite beach in Umm Suqeim. There is no fee associated with this spot. Savor your taste buds with a packet of marshmallows or coffee and enjoy it with a cup of hot cocoa. The JBR is one of the posh locations in Dubai, and fireworks on the JBR beach is one sight to watch out for. The party kicks off at midnight and continues till wee hours of 1st January 2017. You get to witness a host of events and activities on the JBR beach. The party at times continues till 11am in the morning. There are yoga classes, Zumba, fire breathes, live music and entertainment, a laser light show in addition to the amazing fireworks on the beach. Being on the water is one of the unique and exciting ways to celebrate the New Year. You can hop on a water bus or taxi, Dubai ferry or even an abra to check out the amazing fireworks from the Dubai creek. Apart from these, you can rent a boat and invite your close friends and family to celebrate in a private space on the water. The charges for the same are approximately 100-300 Dirhams, not bad at all for celebrating the New Year on the water. There is no fee for toddlers below two years of age and there is 50 percent discount for children. Abra rides may cost close to 25 Dirhams per person. 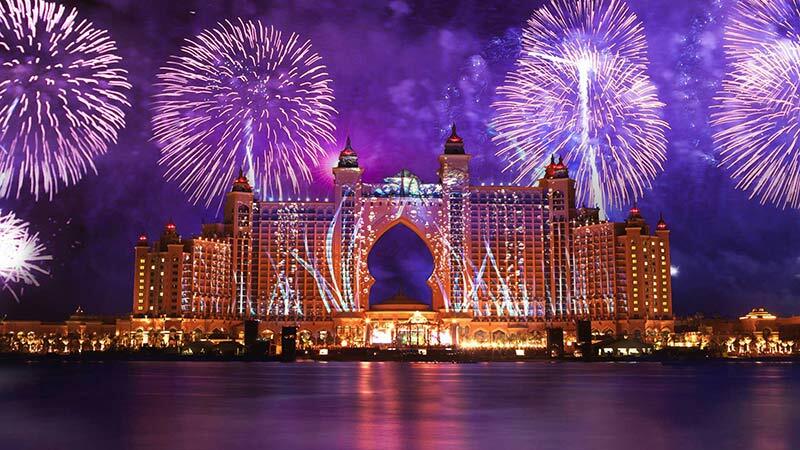 Things to do in New Year Dubai Copyright © 2019.